I get recipe requests from readers all the time. 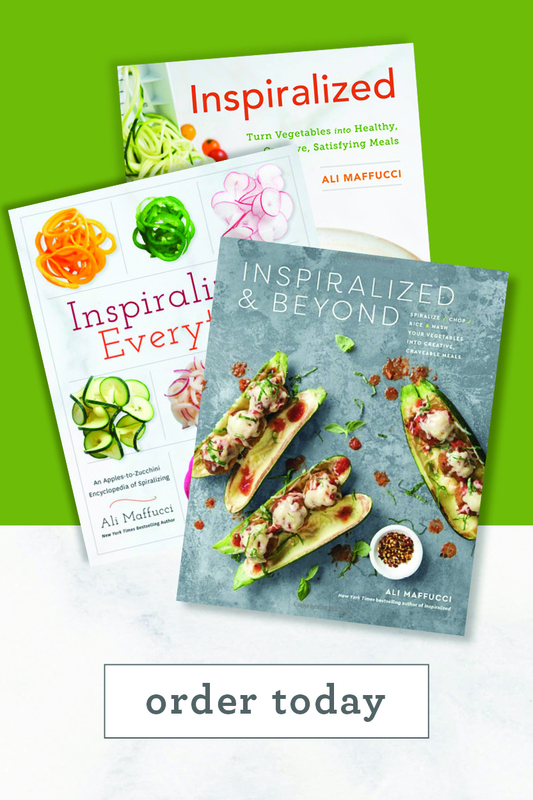 I love it, because it gives me a break when I’m not feeling inspired AND it’s a win-win situation: I’m getting an idea for a recipe idea while making a meal that someone will love. Tuna casserole is up there, along with chow-mein, japchae and pad thai. I’ve made a pad thai before and I’m working on the others. Inspiralizing your favorite comfort foods is a way to make a healthier, cleaner version that’s still just as tasty. I guess what I’m trying to say is, send me an e-mail and let me know what you’d like me to make and it could be up on the blog soon! Tuna casseroles usually have flour, milk, cream of mushroom soup, egg noodles and cheddar cheese. This version has none of that, but it does have Parmesan cheese! Like with my chicken tetrazzini, I’ve used Italian seasoned almond meal to make a crunchy breadcrumb-like topping. It adds a little crunch to every bite, almost like a crouton would. The leftovers from this recipe are currently sitting in my fridge – and they haven’t gotten watery! The key in this dish is to pour out excess water once you pull it out of the oven. Immediately, using oven mittens, dip the baking tray sideways and let any moisture drip out. 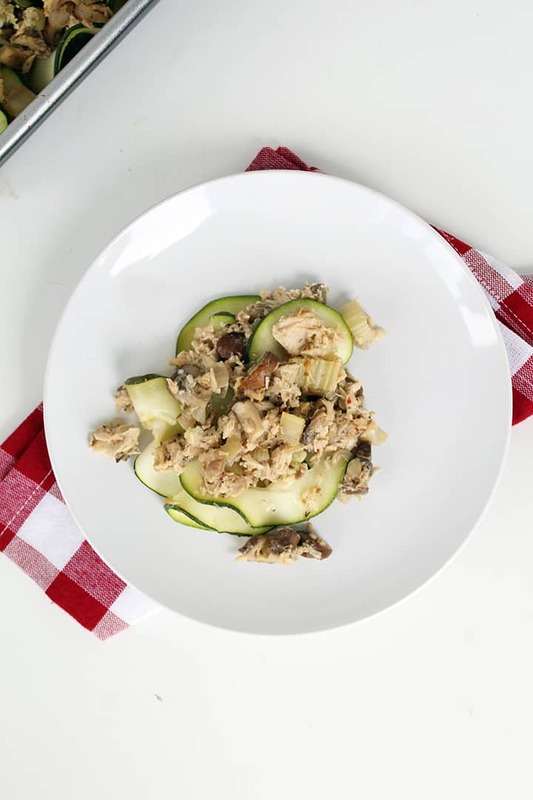 While I’m not a big casserole fan myself, I love how the thyme, oregano and mushrooms taste together with the warmed zucchini and tuna. 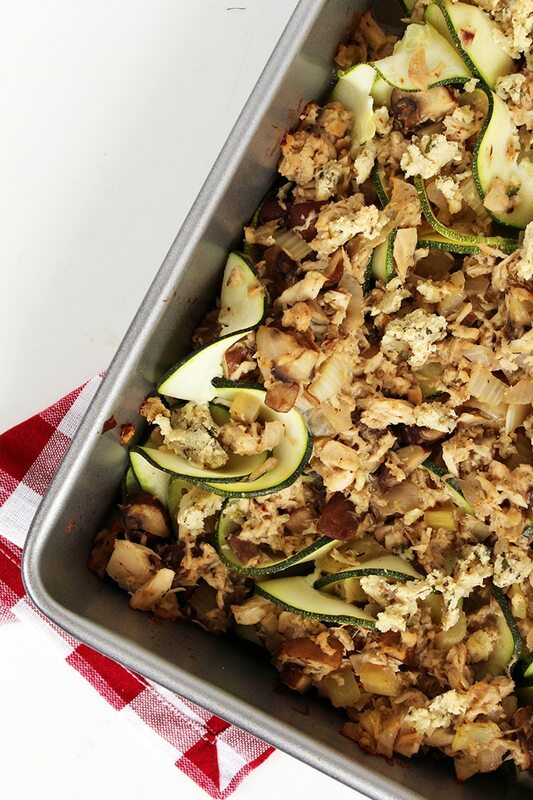 The consistencies are on point and this casserole is so filling and comforting. 1. Preheat the oven to 375 degrees and coat a 4-quart casserole dish with cooking spray. Set aside. 2. Place a large pot over medium heat and add in the olive oil. Once the oil heats, add in the garlic and red pepper flakes and cook for 30 seconds or until fragrant. 3. Add in the onions and cook until translucent, about 2-3 minutes. Once translucent, add in the celery, mushrooms and season with thyme, oregano and salt and pepper. 4. Cook for 5-7 minutes, stirring occasionally. Halfway through, add in the chicken broth and cook until reduced halfway. Once reduced halfway, stir in the parmesan cheese. 5. While the mixture is cooking, place your ingredients for the breadcrumbs in a bowl. Season with salt and pepper generously and then toss to combine and then add in the water. Using your fingers, roll like a dough until all of the meal is formed into dough. Set aside. 6. Add in the tuna and cook for 1 minute, just to heat up the fish. Pour the mixture into the prepared casserole dish. 7. 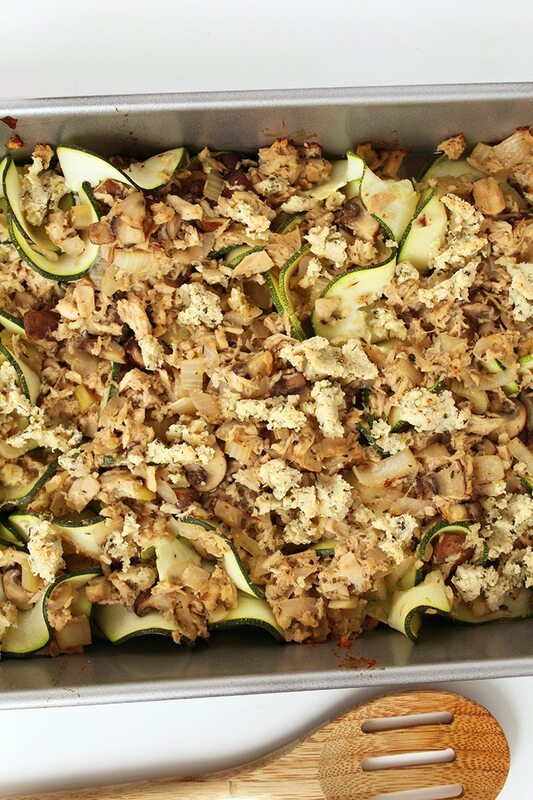 Add the zucchini noodles to the dish and lightly toss around until the mixture evenly spreads throughout the noodles. 8. 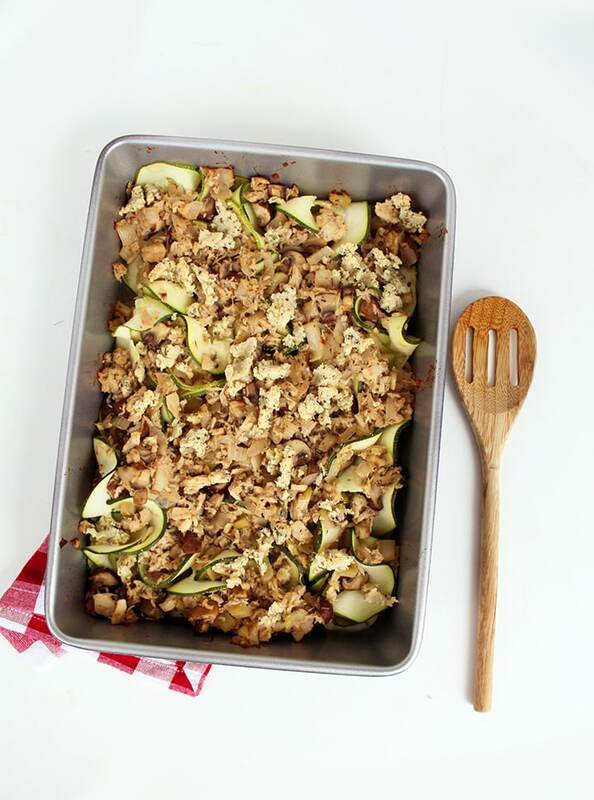 Take the almond meal "dough" and crumble into breadcrumbs over the casserole, evenly until all of the "dough" is used. 9. Cover the casserole with tin foil and bake for 20 minutes. Remove the tinfoil and bake 10 more minutes to get the breadcrumbs browned. 10. Remove the casserole from the oven, pour and excess water out into a sink and serve. 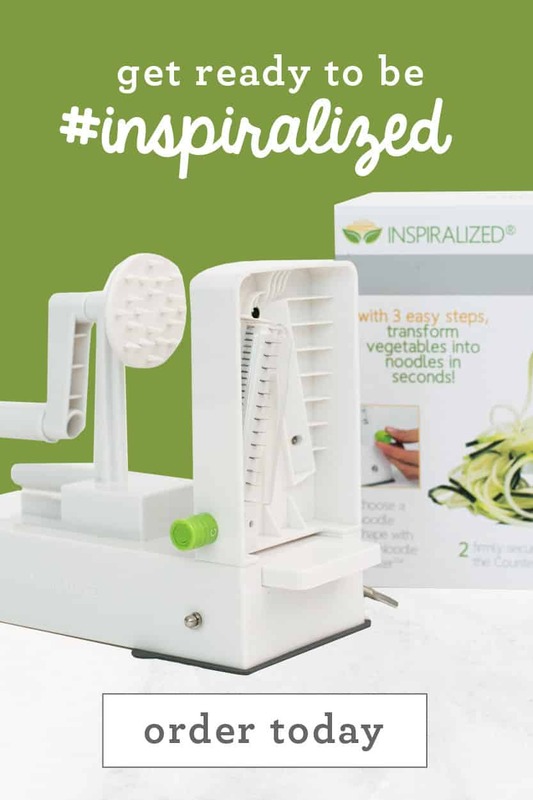 Hi Frank, Under the link How to Spiralize are FAQs with the explanation regarding blade references. 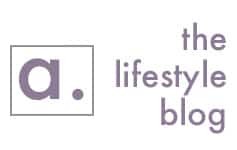 There's other good info there so worth checking out. 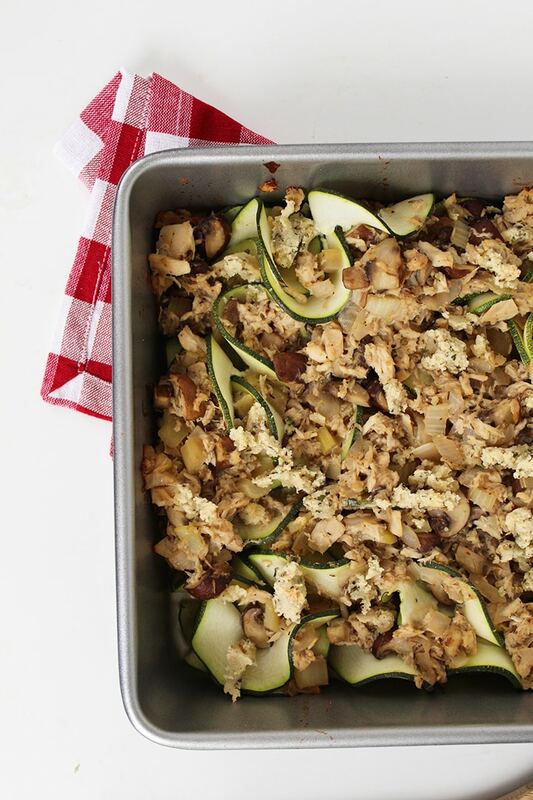 This is one serious casserole, sounds absolutely awesome!! Question, in the directions you say add chicken broth to the almond meal. You meant add the water, right? Yes - thank you for catching that! Can I use fresh cooked tuna steaks instead of canned tuna? 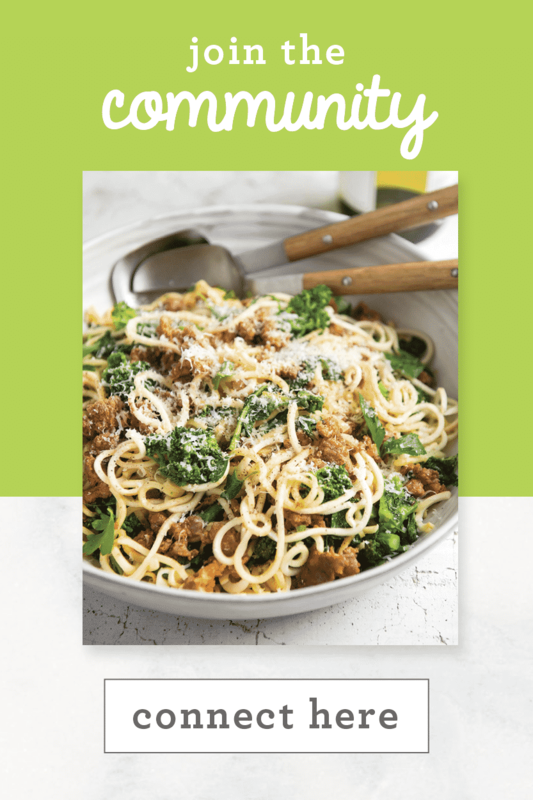 This sounds amazing...i am going to be making this for dinner tonight. 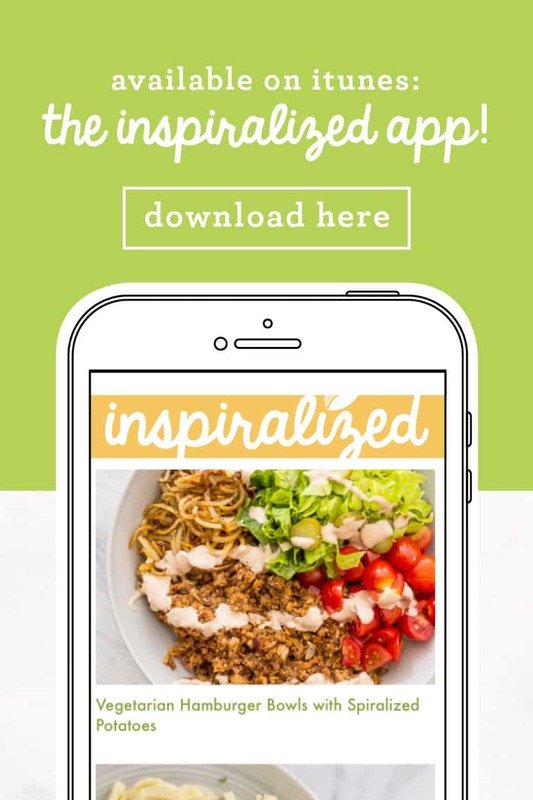 I happened upon your website from Gina & Skinnytaste. 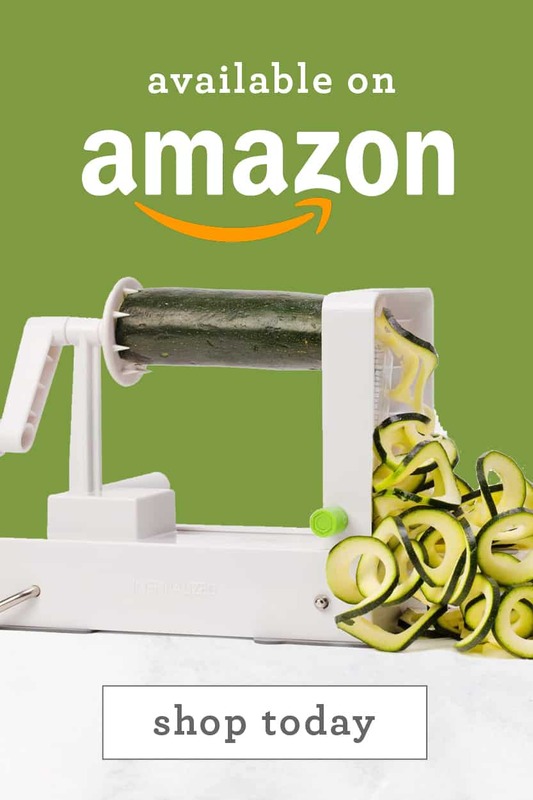 The spiralizer just became a big thing around where I live. So much so, they are sold out everywhere! And now that I have it I was looking for things to make while using it and...I have found it. Thanks so much for your hardwork and recipes. i can't wait to dive into more of them!!! This was amazing! Full of flavor and my whole family unanimously requested it be added to the menu rotation. We have really been enjoying your recipes for the last two weeks. 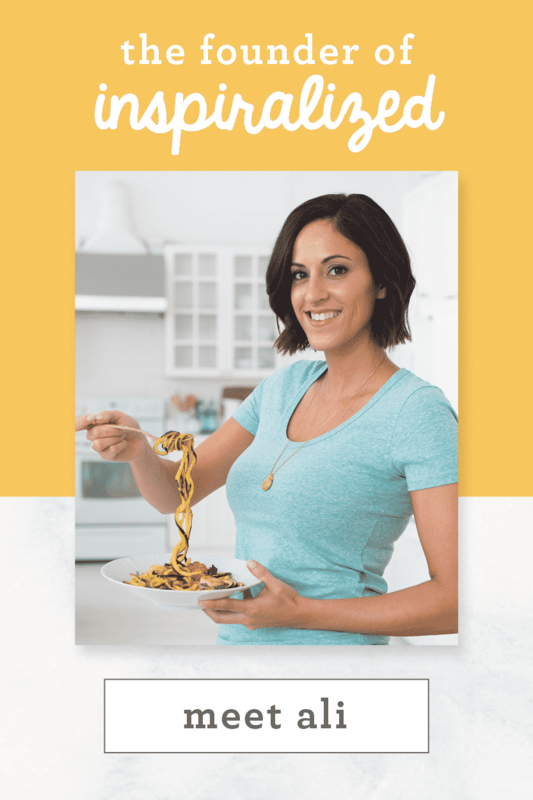 Can't wait for your cookbook to be released! Thank you so much, I'm so glad you're cooking Inspiralized for your family!! I can only find almond flour... Is this the same as almond meal? Close enough for this purpose. Almond flour is a little finer grain than almond meal. It's usually harder to find actually. You can't always substitute almond meal where it requires almond flour (think baking, like bread or cookies), but either will work for a recipe calling for almond meal. I made this without the cheese, as I am allergic to milk. I added in nutritional yeast for the flavor, in both the main portion of the casserole and the topping. It came out delicious. Will definitely make again! HI , is there a substitute for Almond Meal? I couldn't find Almond Flour or Almond meal. You can grind up almonds in the blender, but unless it's a high speed blender there's a chance you could burn out the motor. If it's a high speed blender make sure you do it on low speed or you could get almond butter. 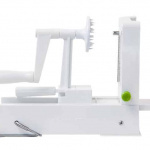 You may also try with a food processor.